The guide is written for use with year 1 of the series. It is arranged by the topical bar graph displayed at the beginning of each chapter. 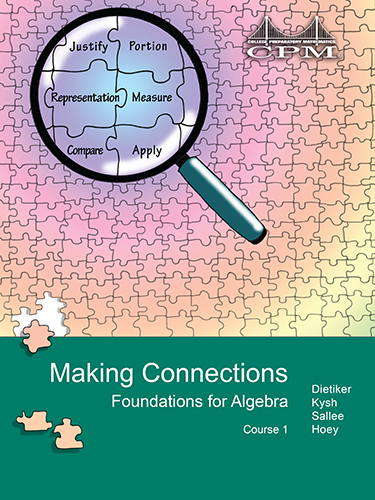 These topics are: number sense, algebra and functions, measurement and geometry, statistics, data, and probability, and mathematical reasoning. Each topic is referenced to the chapter in which the major development of the concept occurs. Detailed examples follow a summary of the concept or skill and include complete solutions. The examples are similar to the work your child has done in class. Additional problems, with answers, are provided for your child to try.